Credit: NASA. Download this image (JPG, 180 KB). 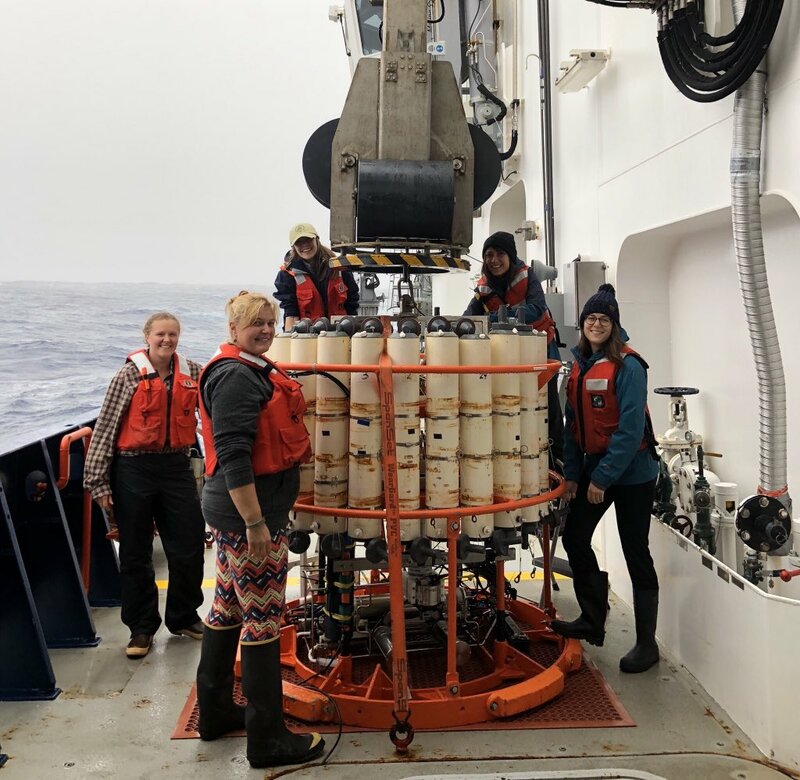 [21-Aug-18] After a rough weekend with seas over five meters in height, the EXPORTS team were back in action, preparing to deploy a CTD rosette on the R/V Sally Ride. CTDs are a platform that allows researchers to collect information and water samples from any depth.